Wow! 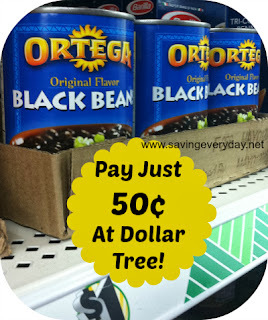 The next time you are at the Dollar Tree take a look for these Ortega Black Beans. 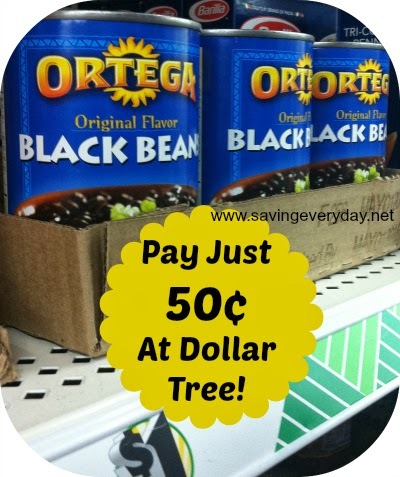 Use this $1.00 off TWO Ortega Products Coupon and get 2 cans for only $0.50 each.